Movie comic books weren’t the first comic books I collected: That distinction goes to Mickey Maus (in German, late 1950s). But I did amass a good number of movie comics in the 1960s and — unlike Mickey Maus — I still have them (alas, with my initials penned onto the back-cover corner of each and every one). 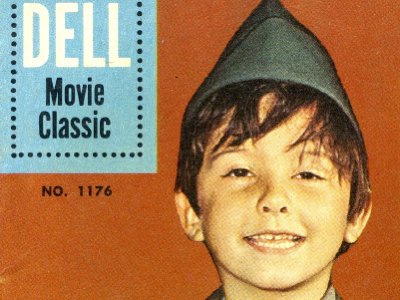 I picked Dondi as my example cover because — to hear folk talk about this film — it is anything but a “classic”. I watched the movie in a theater as a rather naive twelve-year-old (give or take a year). Having seen less than a handful of movies at that point in my life, I didn’t know anything about what made a film “bad” and, being myself a somewhat dondiesque emigrant from another country, I would have been totally engaged: I’m sure that I cried. Dondi hasn’t made the transition to a consumer-purchasable medium. 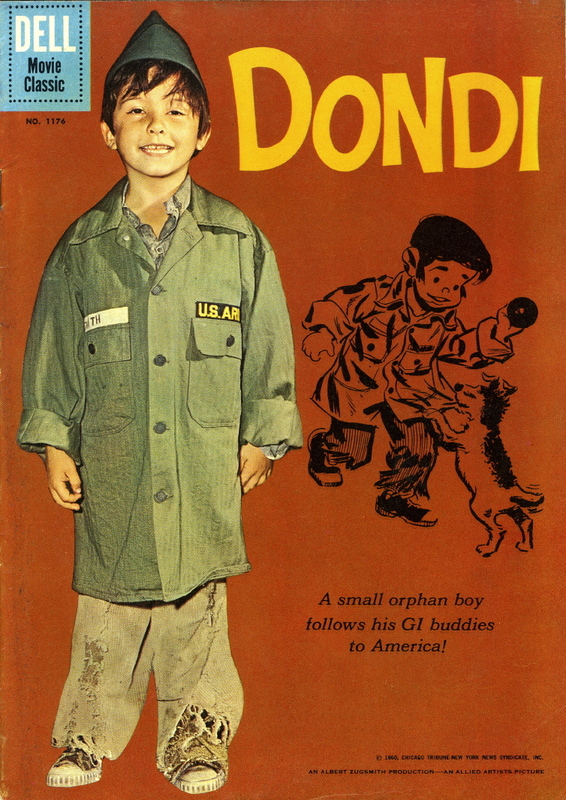 Whatever happened to David Kory, the six-year-old that played the part of Dondi? The comic book is an example of a comic based on a movie based on a comic.